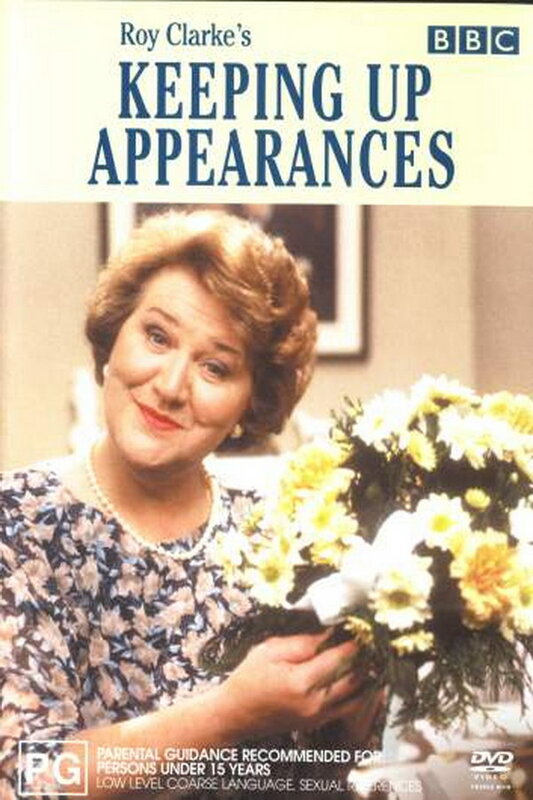 Keeping Up Appearances font here refers to the font used in the title of Keeping Up Appearances, which is a British sitcom that centers on the life of eccentric, social-climbing snob Hyacinth Bucket. The font used for the title of the TV series is probably Cheltenham Bold Condensed designed in 1896 by architect Bertram Goodhue and Ingalls Kimball, director of the Cheltenham Press. You can view more details about the typeface here. In addition to Keeping Up Appearances, Cheltenham typeface is also used in the following logos, movie posters or album covers etc., including: L.L.Bean, Still Walking, Akai, Bill Cunningham New York, University of Lethbridge, Crazy on the Outside, Don’t Mess with Texas, Out of Step, Crazy Horse, Celebration, Orchard, Florida’s Natural, Pillsbury, Johnsonville, Grey’s Anatomy.